PRICE REDUCED! GREAT VALUE! Rutland Park Opportunity! A short walk to Mount Royal University makes this 3 bedroom townhouse in Westview Parc a great opportunity for an investor. 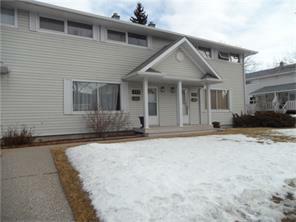 Priced right for a first time buyer! Boasting newer laminate floors in spacious living room, large bright kitchen, and developed basement with family room and den. Close to shopping, schools and transit, this 1055 square foot unit is in a well managed complex.